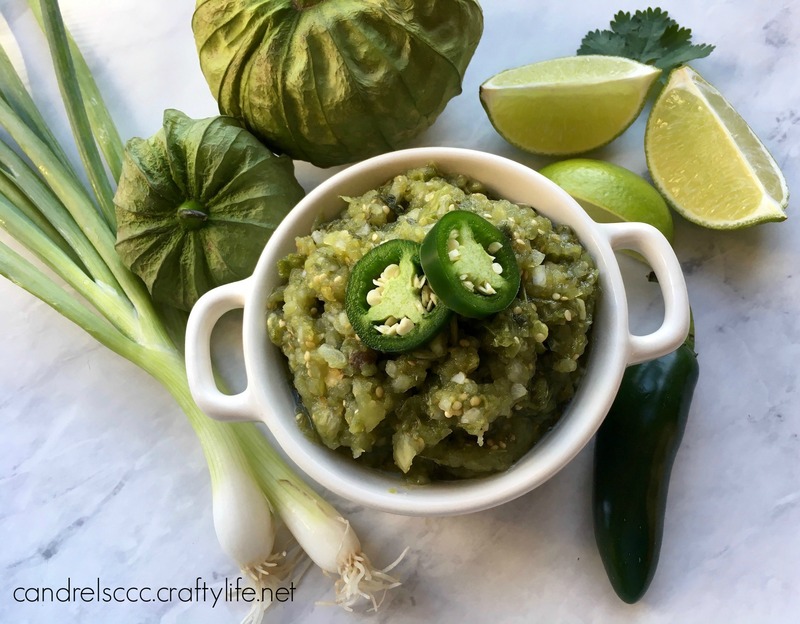 A fresh batch of salsa verde is the perfect accompaniment to all kinds of meals from breakfast to dinner, from eggs to enchiladas or chicken. Stir it into your soup or chili for a flavorful kick or serve it as a dipping sauce with tortilla chips. 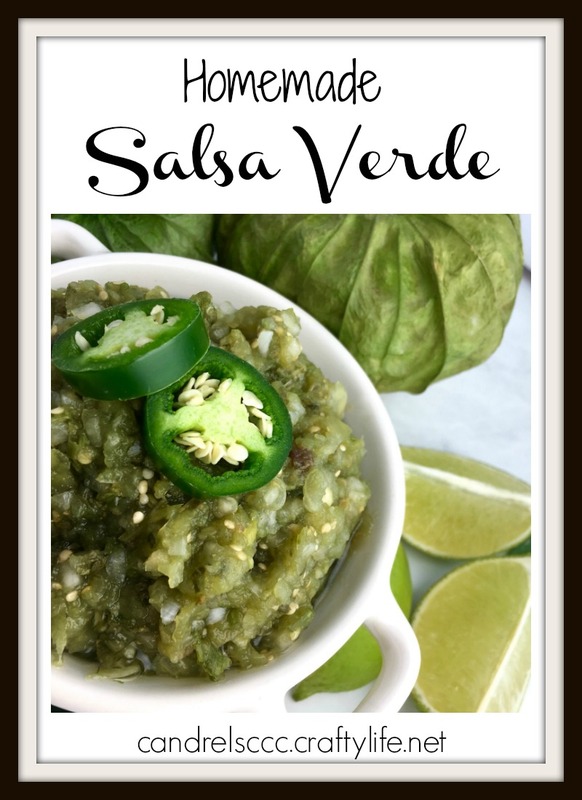 The possibilities are as limitless as your imagination and this salsa verde recipe is quick and easy to make. It’s done in well under an hour and this batch is enough for about four to six people. Double or triple as needed! You can also put the extra in the freezer for later, but I doubt you’ll have a lot of leftovers. You’re probably most familiar with a more “traditional” salsa, which is usually red in color thanks to its tomato base. It can range in heat from a mild to a spicy flavor. Verde is Spanish for green. As you can see, most of the ingredients in this recipe are also green in color. The base is tomatillos. Husk the tomatillos and cut them in half. Arrange the halved tomatillos in a single layer on the prepared baking sheet, along with the whole jalapeno peppers and garlic cloves. Drizzle them with olive oil and gently toss to coat. Place the baking sheet of vegetables in the preheated oven for about 15-20 minutes, or until they are tender. Remove from the oven and allow them to cool for several minutes. Once cooled, cut the jalapenos in half and remove all of the seeds. Transfer the roasted vegetables to a blender or food processor. Add green onions, cilantro, lime juice, ground cumin, and oregano. Pulse the ingredients until they are combined, but keep the mixture somewhat chunky. Add honey for sweetening if needed. Salt and pepper to taste.